Technology is fleeting as if it has the invisible wings to make it levitate to the unknown horizons where there is only advancement and progression. With the passage of time, we can see how far technology has soared above. With alterations and slight modifications devices and gadgets have been popping out and making us to get attracted. Big brands who own big reputed names actually have raised the standard and quality so each time when a new gadget comes out people start comparing it with other modern outcomes. Google has recently launched the Nexus 5 with appealing features and smashing outlook. It has lived up to the expectations of people of course. Now people consider it a status symbol to use big brands. Google has never compromised on its quality and appeal. Maintaining its originality it successfully released The Nexus 5 which is most talked about quite lately. Today I am putting forward free Vector Google Nexus 5 Mockup in Ai & EPS format which can be used in personal & commercial projects. Nexus 5 is a must have now. It is having a very nice and sophisticated look. Nevertheless it is trendier and way more advanced in techno terms. I am truly feeling feverish for Nexus 5 so let me go and grab it before it’s too late. 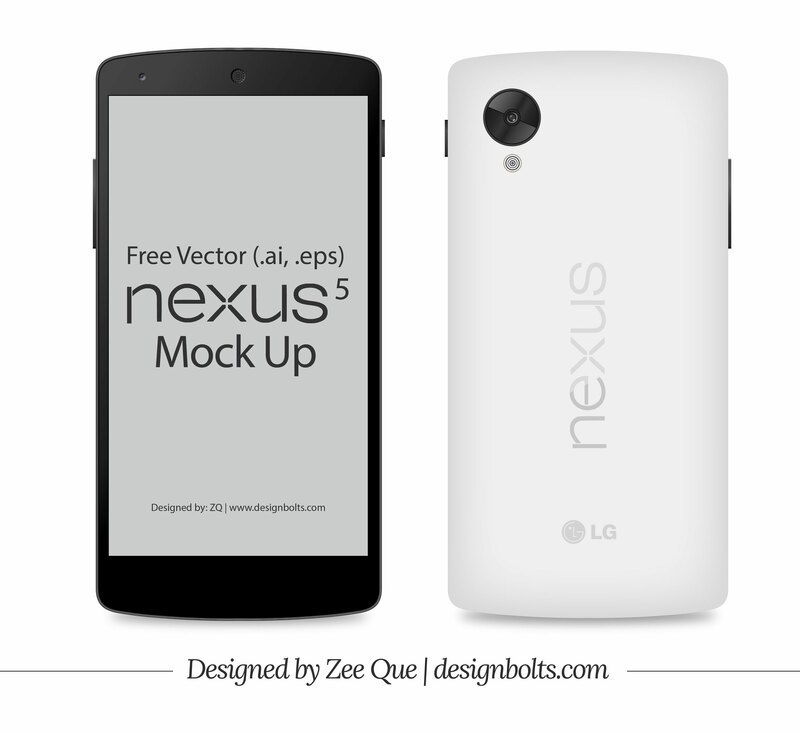 Have a look at the free Vector Google Nexus 5 Ai Mockup!